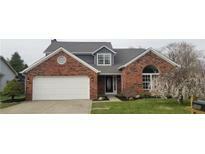 Below you can view all the homes for sale in the Brunson Acres subdivision located in Indianapolis Indiana. Listings in Brunson Acres are updated daily from data we receive from the Indianapolis multiple listing service. To learn more about any of these homes or to receive custom notifications when a new property is listed for sale in Brunson Acres, give us a call at 317-623-3471. Wander outside into your private professionally landscaped oasis equipped with a stunning fire pit area, large deck, raised garden beds, and a plethora of fruit trees. MLS#21632624. F.C. Tucker Company. You are going to love this one...no detail has been left untouched! MLS#21632404. Keller Williams Indpls Metro N.
Minutes to I-69 and 465 for easy access to anywhere! MLS#21628044. The Dream Home Company.